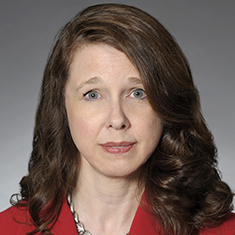 Tanya L. Curtis is the national co-chair of the Technology practice and focuses on intellectual property, information technology, privacy, and e-business and other Internet-related matters. Tanya’s substantial intellectual property experience includes counseling clients on the identification, selection, clearance, registration and protection of trademarks and domain names, as well as the identification, development and protection of copyrights, rights of publicity, and trade secrets and other confidential business information; managing the day-to-day responsibilities for clients’ intellectual property portfolios, including assisting clients in developing strategies to maximize the value of their intellectual property and counseling clients on handling and avoiding claims of infringement and misappropriation; preparing and negotiating intellectual property license, purchase, security, assignment, confidentiality and nondisclosure agreements; and identifying and evaluating intellectual property rights in the contexts of IPOs, private equity and venture financings, and mergers, acquisitions and divestitures involving intellectual property rights. Tanya also represents emerging and established e-business as well as software and other technology-based companies across a broad spectrum of industries. Her wealth of experience in this area includes assisting companies in establishing an Internet presence by counseling on the development and protection of intellectual property and technology rights, negotiating website development agreements, conducting website audits, and drafting privacy, use, marketplace, shrink-wrap and click-through agreements. Her experience also extends to the preparation and negotiation of contracts for the license, development, transfer or acquisition of software or other technology, and the preparation and negotiation of other technology services, strategic partnering, advertising, fulfillment, publishing, marketing, vendor and distribution agreements. In recent years, a major focus of Tanya’s practice has been the representation of companies in the financial services sector in connection with a variety of technology and intellectual property-related initiatives. Her unique experience in this area includes the representation of international and domestic technology providers and consumers in the licensing of electronic trading systems and other proprietary software; technology development agreements, including development related to electronic trading platforms, order routing systems, order book management systems, strategic trading tools and automated trading systems; technology, network, systems monitoring and surveillance, disaster recovery, document retention, maintenance and operational services agreements; equipment procurement, leasing and implementation; market data distribution; identification and protection of intellectual property associated with electronic trading platforms, trading tools and other technology; and joint ventures and corporate acquisitions involving proprietary electronic trading systems and applications. She represents a wide range of clients in connection with such matters, including derivatives exchanges, hedge funds, market makers, proprietary trading firms, futures commission merchants, independent software vendors (ISVs), broker-dealers, banks and other market participants, as well as the technology providers who service them. Shown below is a selection of Tanya’s engagements.